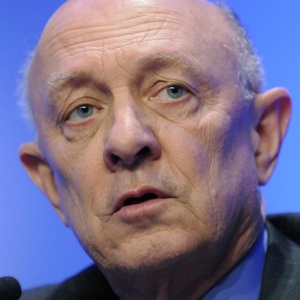 James Woolsey, the director of the Central Intelligence Agency (CIA) under President Bill Clinton, is a well-connected advocate of militarist U.S. foreign policies. He has supported the work of several neoconservative-led groups, including the Committee on the Present Danger, the Committee for the Liberation of Iraq, the Project for the New American Century, the Center for Security Policy, among others. Woolsey has also served on the board of advisors of the Washington Institute for Near East Policy, a spinoff of the American Israel Public Affairs Committee, and the advisory board of the right-wing Jamestown Foundation. Woolsey is a frequent consultant and advisor to private businesses and defense contractors, as well as government boards and panels. A former vice president of Booz Allen Hamilton, a Pentagon contractor, and partner at the high-profile D.C. law firm Shea and Gardner, Woolsey’s experience includes serving as chair of his firm Woolsey Partners, serving as venture partner and senior advisor to VantagePoint Venture Partners, chairing an advisory group of the private equity fund Paladin Capital Group, and serving as counsel to the law firm Goodwin Procter. Woolsey’s government work, aside from the CIA, has included being a member of the National Commission on Energy Policy, serving on the George W. Bush-era Defense Policy Board, advising the Deterrence Concepts Advisory Panel, serving on the controversial “Rumsfeld Missile Commission” (chaired by Donald Rumsfeld), and serving on various arms control treaty negotiation teams. Woolsey has also long pushed for a confrontational approach on Iran. He has pushed back against the notion that Iranian President Hassan Rouhani, who was elected in 2013 on a platform of improving Iranian relations with the West, is a “moderate.” In an October 2013 op-ed for The Hill coauthored with Bijan Khan and David J. Smith, Woolsey argued that before the United States engages with Rouhani, he must demonstrate Iran’s “unequivocal commitment” to the Nuclear Nonproliferation Treaty (NPT) and its additional protocols, as well as end the country’s support for anti-Israel militant groups in the Levant, protest China and Russia’s mistreatment of their ethnic and religious minority populations, denounce the common “Death to America” slogan in Iran, and improve conditions for Iran’s own marginalized populations. In November 2006, Woolsey was the keynote speaker at a conference sponsored by the hawkish American Foreign Policy Council titled “Understanding the Iranian Threat.” He told the audience, “First of all, the Persians invented chess, and they are very good at it,” he began, calling Iran’s nuclear program a “queen” that it was protecting various other “lesser pieces,” such as Syria, Muqtada al-Sadr, Hezbollah, and Hamas. Woolsey suggested that North Korea might ship Iran plutonium or highly enriched uranium in diplomatic pouches in exchange for weapons purposes. Other speakers at the conference included Patrick Clawson of the Washington Institute for Near East Policy and Walid Phares of the Foundation for Defense of Democracies. Drawing on his background at the CIA and as a former vice president of Booz Allen Hamilton—the military contractor that employed NSA whistleblower Edward Snowden—Woolsey has also defended the U.S. government’s extensive domestic surveillance program and inveighed against Snowden for alerting the public to its existence. “It would have been wonderful if we’d had something like this before 9/11,” Woolsey told NPR in June 2013, claiming that “thousands of people died” in part because “we had tilted so far toward privacy” with respect to intelligence gathering before the 9/11 attacks. An erstwhile proponent of the notion that the “War on Terror” is World War IV, Woolsey has described himself as a “Scoop Jackson/Joe Lieberman Democrat.” Together with the likes of Lieberman and Michael O’Hanlon, Woolsey blends Democratic Party domestic politics with advocacy for neoconservative foreign policy causes, including interventionist military policies in the Middle East. Despite his party affiliation, Woolsey has advised a number of Republican Party figures, including President George W. Bush and Sen. John McCain. Woolsey is also a longstanding backer of controversial weapons programs. In a July 2010 Wall Street Journal op-ed, Woolsey hyped the idea that Iran could in a few years be able to launch a nuclear-armed missile at the United States. Thus, he warned, it was imperative for the United States to deploy a “robust and comprehensive ballistic missile defense” — this despite the fact that such a system has never proven workable. Such a system, he added, should be coupled with additional missile defense systems in Europe. Though still supportive of the U.S. invasion of Iraq, by 2006 Woolsey (along with other hawks, including Ken Adelman and Richard Perle) had begun to be critical of the way the Bush administration had carried out the invasion, while at the same time pushing for bombing other states like Syria, a country long present on Woolsey’s list of targets for the war on terror. During President George W. Bush’s first term, Woolsey was appointed to official panels that advised Defense Secretary Rumsfeld, including the Defense Policy Board Advisory Committee (DPB), chaired by Richard Perle at the time of Woolsey’s appointment, as well as the Deterrence Concepts Advisory Panel. During Clinton’s second term, Woolsey served on the controversial Rumsfeld-chaired Commission to Assess the Ballistic Missile Threat, whose final 1998 report issued the alarmist conclusion that several “rogue” countries would be able to target the United States with ballistic missiles in a few short years. Other members of the congressionally mandated commission included William Schneider Jr., Stephen Cambone, and Paul Wolfowitz. Woolsey also participated in the nongovernmental study group that produced the 2001 report “Rationale and Requirements for Nuclear Forces and Arms Control,” published by the hawkish National Institute for Public Policy (NIPP). According to the World Policy Institute, the NIPP study served as a blueprint for Bush’s Nuclear Posture Review, a comprehensive review of U.S. nuclear weapons policies. Among the study participants were Cambone, Hadley, Robert Joseph, and Keith Payne (NIPP’s director). Woolsey, along with several other study participants, moved directly from the NIPP report into the Pentagon’s Deterrence Concepts Advisory Panel, which was led by Payne and tasked with implementing the findings of the Nuclear Posture Review. While he maintained his positions on the DPB and Deterrence Concepts Advisory Panel, in 2002 Woolsey became a vice president of Booz Allen Hamilton, a high-powered consulting firm and military contractor based in Virginia that has been characterized “as one of the biggest suppliers of technology and personnel to the U.S. government’s spy agencies.” Woolsey also maintained close relations with a number of militarist advocacy groups. According to Woolsey, he is not alone among neoconservatives in holding these views. As Rozen reports, “Being a green neoconservative is becoming less lonely, Woolsey says, especially as more hawks come to see energy as a security issue. He tells a story about an argument with a friend who is a global warming skeptic. When Woolsey explained how improvements to the electrical infrastructure could make it safer from terrorists, his friend replied, ‘Oh, well, that’s fine, then—we can do all that as long as it’s not because of this fictional global warming.’ Former House leader Newt Gingrich recently came out in support of renewable energy, and the members of Woolsey’s Set America Free Coalition include such prominent hawks as Daniel Pipes, Frank Gaffney, and Cliff May. ‘It’s less that hawks are going green as that hawks and greens have some common interests,’ May explains.” Other members of Set America Free include Gary Bauer, Sam Brownback, and Meyrav Wurmser. Foundation for Defense of Democracies, “Press Release: Clinton Administration CIA Director R. James Woolsey Named Chairman of the Foundation for Defense of Democracies,” March 24, 2011, http://www.defenddemocracy.org/index.php?option=com_content&task=view&id=11792400&Itemid=351. Washington Institute for Near East Policy, “Board of Advisors,” http://www.washingtoninstitute.org/about/board-of-advisors/. The Jamestown Foundation, “An Interview with the Honorable R. James Woolsey,” December 18, 2003, http://www.jamestown.org/programs/tm/single/?tx_ttnews%5Btt_news%5D=26186&tx_ttnews%5BbackPid%5D=178&no_cache=1#.VEaOnPnF-1c. 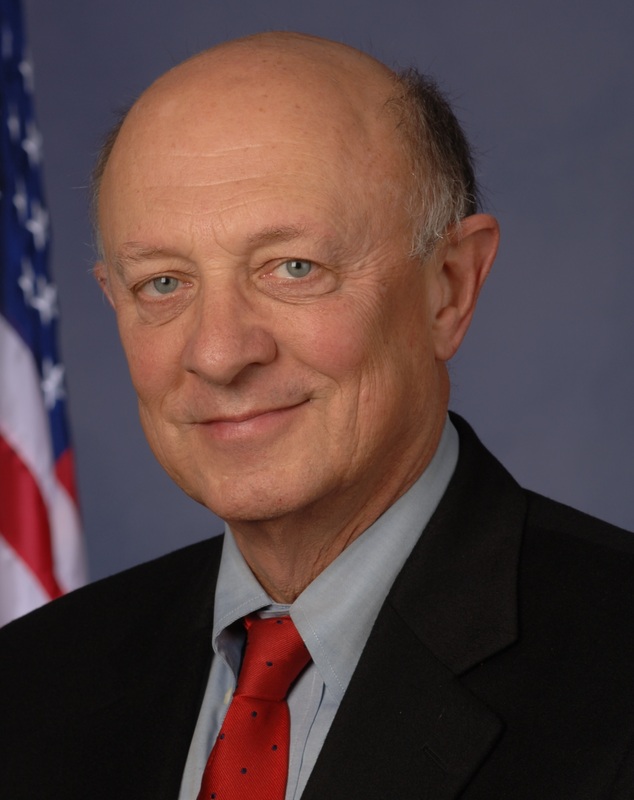 For more on Woolsey’s career, see his bios on the websites of FDD, http://www.defenddemocracy.org/index.php?option=com_content&task=view&id=23759&Itemid=326; as well as the Jewish Institute for National Security Affairs, http://www.jinsa.org/node/450. Fred Imbert, “Ex-CIA director Woolsey: We have to go after ISIS,” CNBC, November 16, 2015, http://www.cnbc.com/2015/11/16/ex-cia-director-woolsey-we-have-to-go-after-isis.html. Bijan R. Kian, R. James Woolsey and David J. Smith, “Rouhani’s Rooster Tail,” The Hill, October 3, 2013, http://thehill.com/opinion/op-ed/326221-rouhanis-rooster-tail. Dave Urbanski, “Ex-CIA Director Compares Obama’s Dealings with Iran to Actions of Notorious Nazi Appeaser,” The Blaze, February 1, 2014, http://www.theblaze.com/stories/2014/02/01/ex-cia-director-compares-obamas-dealings-with-iran-to-actions-of-notorious-nazi-appeaser/. Todd Beamon, “Ex-CIA Director James Woolsey: Iran Deal ‘Worse Than Worthless,’” Newsmax, September 2, 2015, http://www.newsmax.com/Newsmax-Tv/james-woolsey-peter-vincent-pry-iran-deal/2015/09/02/id/673281/. Clarion Project, “Ex-CIA Head: Iran is Genocidal, Theocratic, Imperial, Totalitarian,” June 15, 2015, http://www.clarionproject.org/news/join-our-conference-call-iran-james-woolsey. Upfront, “James Woolsey: 9-11 attacks linked to Iran and Iraq,” Al Jazeera English, September 19, 2015, http://www.aljazeera.com/programmes/upfront/2015/09/james-woolsey-9-11-attacks-linked-iran-iraq-150919143757532.html. James Woolsey, Keynote Address at Conference on “Understanding the Iranian Threat,” American Foreign Policy Council, November 15, 2006. Woolsey et al, “Everyone Needs to Worry About Iran,” WSJ, September 22, 2008, http://online.wsj.com/article/SB122204266977561331.html. Mike Allen, “Anti-Iran nuke group launches TV ad,” Politico, July 8, 2009. Talk of the Nation, “Opinion Roundup: Edward Snowden And The NSA Leaks,” NPR, June 10, 2013, http://www.npr.org/2013/06/10/190398617/opinion-roundup-edward-snowden-and-the-nsa-leaks. Lucas Tomlinson, “Ex-CIA director: Snowden should be ‘hanged’ if convicted for treason,” Fox News, December 17, 2013, http://www.foxnews.com/politics/2013/12/17/ex-cia-director-snowden-should-be-hanged-if-convicted-for-treason/. James Woolsey, “Why Spying on Merkel Is So Damaging,” Wall Street Journal, October 31, 2013, http://online.wsj.com/news/articles/SB10001424052702303471004579165293684348658?mod=djemEditorialPage_h. NPR, “Former CIA Chief On ISIS: ‘We Have To Go After Them In Their Homeland,’” November 15, 2015, http://www.npr.org/2015/11/15/456132192/former-cia-chief-on-isis-we-have-to-go-after-them-in-their-homeland. ArsTecnica, “ISIS using encrypted apps for communications; former intel officials blame Snowden [Updated],” 16 November 2015, http://arstechnica.com/information-technology/2015/11/isis-encrypted-communications-with-paris-attackers-french-officials-say/. James Woolsey and Peter Pry, “How North Korea Could Cripple the U.S.,” Wall Street Journal, May 21, 2013, http://online.wsj.com/news/articles/SB10001424127887324482504578455451910706908. Jeffrey Lewis, “The EMPire Strikes Back,” Foreign Policy, May 23, 2013, http://www.foreignpolicy.com/articles/2013/05/23/the_empire_strikes_back_emp?page=full . Laura Rozen, “James Woolsey, Hybrid Hawk,” Mother Jones, May/June 2008. Right Web, “A Complete List of PNAC Signatories and Contributing Writers,” https://rightweb.irc-online.org/profile/pnac_chart/pnac.html. PNAC, “Letter to President Clinton on Iraq,” January 26, 1998, http://web.archive.org/web/20070810113947/www.newamericancentury.org/iraqclintonletter.htm. James Woolsey, “The Ugly Premise of ‘Settlement’ Opponents,” Wall Street Journal, October 11, 2009. Woolsey, ‘IRAN AND THE MISSILE DEFENSE IMPERATIVE,” WSJ, July 14, 2010, http://www.defenddemocracy.org/index.php?option=com_content&task=view&id=11790869&Itemid=0. James Fallows, “Blind into Baghdad,” Atlantic Monthly, January/February 2004. Nina J. Easton, “The Hawk: James Woolsey Wants Iraq’s Saddam Hussein Brought to Justice,” Washington Post, December 27, 2001, p. C01. James Woolsey, “World War IV,” speech at Restoration Weekend, November 16, 2002, reprinted in FrontPageMagazine.com, November 22, 2002 (available at http://www.globalsecurity.org/military/library/report/2002/021116-ww4.htm). “The Pentagon’s (CIA) Man in Iraq,” The Nation Blog, April 4, 2003. James Woolsey, “The War for Democracy,” Speech at Restoration Weekend 2004, December 9, 2004, http://frontpagemag.com/Articles/Printable.aspx?GUID=086976C5-12E2-4C2B-ADA5-79F4EC635DDC. Testimony of James Woolsey, Hearing of The Senate Judiciary Committee, “Wartime Executive Power and The NSA’s Surveillance Authority,” February 28, 2006. David Rose, “Neo Culpa,” Vanity Fair, January 2007. See, for example, Woolsey 2006 interview with FoxNews, posted on ThinkProgeress.org, “Former CIA Director Woolsey: ‘I Think We Ought To Execute Some Air Strikes Against Syria,’” July 17, 2006, http://thinkprogress.org/2006/07/17/woolsey/. Federal Advisory Committees Database, “DOD 412—Defence Policy Board Advisory Committee—Agency Authority,” Fiscal Year 2004, available at http://fido.gov/facadatabase/default.asp. Federal Advisory Committees Database, “DOD 10763—Deterrence Concepts Advisory Group—Agency Authority,” Fiscal Year 2001, available at http://fido.gov/facadatabase/default.asp. William D. Hartung with Jonathan Reingold, “About Face: The Role of the Arms Lobby in the Bush Administration’s Radical Reversal of Two Decades of U.S. Nuclear Policy,” World Policy Institute, Arms Trade Resource Center, May 2002. William D. Hartung with Jonathan Reingold, “About Face: The Role of the Arms Lobby in the Bush Administration’s Radical Reversal of Two Decades of U.S. Nuclear Policy,” World Policy Institute, Arms Trade Resource Center, May 2002; “Advisers of Influence,” Center for Public Integrity, March 2003. Booz Allen Hamilton, “R. James Woolsey Joins Booz Allen as Vice President,” Press Release, July 15, 2002. Tim Shorrock, “Carlyle Group May Buy Major CIA Contractor: Booz Allen Hamilton,” CorpWatch, March 8, 2008, http://www.corpwatch.org/article.php?id=14963. “Advisers of Influence,” Center for Public Integrity, March 2003. Department of Justice, “Report of the Attorney General to the Congress of the United States on the Administration of the Foreign Agents Registration Act,” December 2003, p. 118, http://www.usdoj.gov/criminal/fara/reports/December31-2003.pdf. Department of Justice, “Report of the Attorney General to the Congress of the United States on the Administration of the Foreign Agents Registration Act,” December 2004, p. 99, http://www.usdoj.gov/criminal/fara/reports/December31-2004.pdf. The Connect U.S. Fund, “John McCain: Foreign Policy Advisers,” http://www.connectusfund.org/mccain (accessed on September 8, 2008). Tim Shipman, “John McCain Hires Former CIA Director Jim Woolsey As Green Advisor,” Daily Telegraph, June 21, 2008, http://www.telegraph.co.uk/news/newstopics/uselection2008/johnmccain/2169365/John-McCain-hires-former-CIA-director-Jim-Woolsey-as-green-advisor.html. Jackson West, “R. James Woolsey and the Rise of the Greenocons,” Valleywag blog, May 22, 2008, http://valleywag.com/392752/r-james-woolsey-and-the-rise-of-the-greenocons#viewcomments. Set America Free Coalition, http://www.setamericafree.org/. Set America Free, “Coalition Members,” http://www.setamericafree.org/index.php?option=com_content&task=view&id=19&Itemid=2. The Jamestown Foundation, “An Interview with the Honorable R. James Woolsey,” December 18, 2003,http://www.jamestown.org/programs/tm/single/?tx_ttnews%5Btt_news%5D=26186&tx_ttnews%5BbackPid%5D=178&no_cache=1#.VEaOnPnF-1c. For more on Woolsey’s career, see his bios on the websites of FDD, http://www.defenddemocracy.org/index.php?option=com_content&task=view&id=23759&Itemid=326; as well as the Jewish Institute for National Security Affairs,http://www.jinsa.org/node/450. Fred Imbert, “Ex-CIA director Woolsey: We have to go after ISIS,” CNBC, November 16, 2015,http://www.cnbc.com/2015/11/16/ex-cia-director-woolsey-we-have-to-go-after-isis.html. Bijan R. Kian, R. James Woolsey and David J. Smith, “Rouhani’s Rooster Tail,” The Hill, October 3, 2013,http://thehill.com/opinion/op-ed/326221-rouhanis-rooster-tail. Todd Beamon, “Ex-CIA Director James Woolsey: Iran Deal ‘Worse Than Worthless,’” Newsmax, September 2, 2015,http://www.newsmax.com/Newsmax-Tv/james-woolsey-peter-vincent-pry-iran-deal/2015/09/02/id/673281/. Clarion Project, “Ex-CIA Head: Iran is Genocidal, Theocratic, Imperial, Totalitarian,” June 15, 2015,http://www.clarionproject.org/news/join-our-conference-call-iran-james-woolsey. Upfront, “James Woolsey: 9-11 attacks linked to Iran and Iraq,” Al Jazeera English, September 19, 2015,http://www.aljazeera.com/programmes/upfront/2015/09/james-woolsey-9-11-attacks-linked-iran-iraq-150919143757532.html. Woolsey et al, “Everyone Needs to Worry About Iran,” WSJ, September 22, 2008,http://online.wsj.com/article/SB122204266977561331.html. Talk of the Nation, “Opinion Roundup: Edward Snowden And The NSA Leaks,” NPR, June 10, 2013,http://www.npr.org/2013/06/10/190398617/opinion-roundup-edward-snowden-and-the-nsa-leaks. Lucas Tomlinson, “Ex-CIA director: Snowden should be ‘hanged’ if convicted for treason,” Fox News, December 17, 2013,http://www.foxnews.com/politics/2013/12/17/ex-cia-director-snowden-should-be-hanged-if-convicted-for-treason/. James Woolsey, “Why Spying on Merkel Is So Damaging,” Wall Street Journal, October 31, 2013,http://online.wsj.com/news/articles/SB10001424052702303471004579165293684348658?mod=djemEditorialPage_h. NPR, “Former CIA Chief On ISIS: ‘We Have To Go After Them In Their Homeland,’” November 15, 2015,http://www.npr.org/2015/11/15/456132192/former-cia-chief-on-isis-we-have-to-go-after-them-in-their-homeland. James Woolsey and Peter Pry, “How North Korea Could Cripple the U.S.,” Wall Street Journal, May 21, 2013,http://online.wsj.com/news/articles/SB10001424127887324482504578455451910706908. Jeffrey Lewis, “The EMPire Strikes Back,” Foreign Policy, May 23, 2013, http://www.foreignpolicy.com/articles/2013/05/23/the_empire_strikes_back_emp?page=full. PNAC, “Letter to President Clinton on Iraq,” January 26, 1998,http://web.archive.org/web/20070810113947/www.newamericancentury.org/iraqclintonletter.htm. Woolsey, ‘IRAN AND THE MISSILE DEFENSE IMPERATIVE,” WSJ, July 14, 2010,http://www.defenddemocracy.org/index.php?option=com_content&task=view&id=11790869&Itemid=0. James Woolsey, “The War for Democracy,” Speech at Restoration Weekend 2004, December 9, 2004,http://frontpagemag.com/Articles/Printable.aspx?GUID=086976C5-12E2-4C2B-ADA5-79F4EC635DDC. See, for example, Woolsey 2006 interview with FoxNews, posted on ThinkProgeress.org, “Former CIA Director Woolsey: ‘I Think We Ought To Execute Some Air Strikes Against Syria,’” July 17, 2006,http://thinkprogress.org/2006/07/17/woolsey/. Tim Shorrock, “Carlyle Group May Buy Major CIA Contractor: Booz Allen Hamilton,” CorpWatch, March 8, 2008,http://www.corpwatch.org/article.php?id=14963. Tim Shipman, “John McCain Hires Former CIA Director Jim Woolsey As Green Advisor,” Daily Telegraph, June 21, 2008,http://www.telegraph.co.uk/news/newstopics/uselection2008/johnmccain/2169365/John-McCain-hires-former-CIA-director-Jim-Woolsey-as-green-advisor.html. Jackson West, “R. James Woolsey and the Rise of the Greenocons,” Valleywag blog, May 22, 2008,http://valleywag.com/392752/r-james-woolsey-and-the-rise-of-the-greenocons#viewcomments.